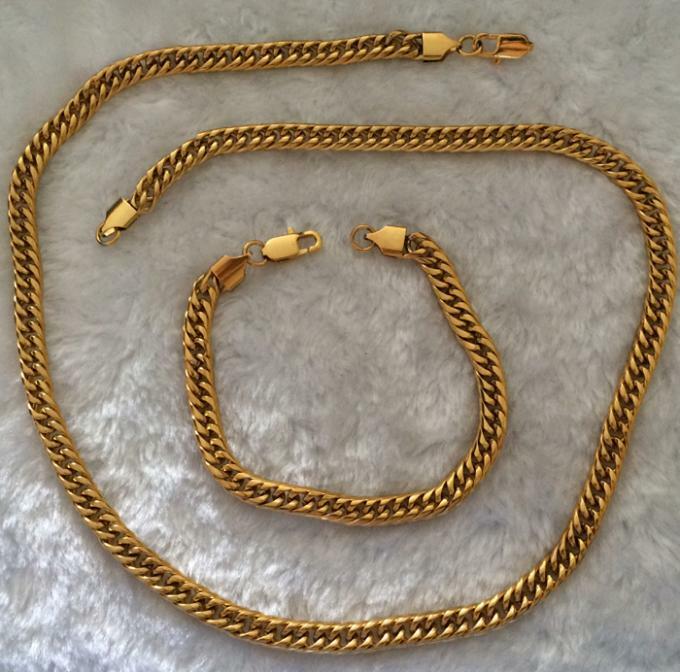 Plating:18k gold chain+ silver handcuff. 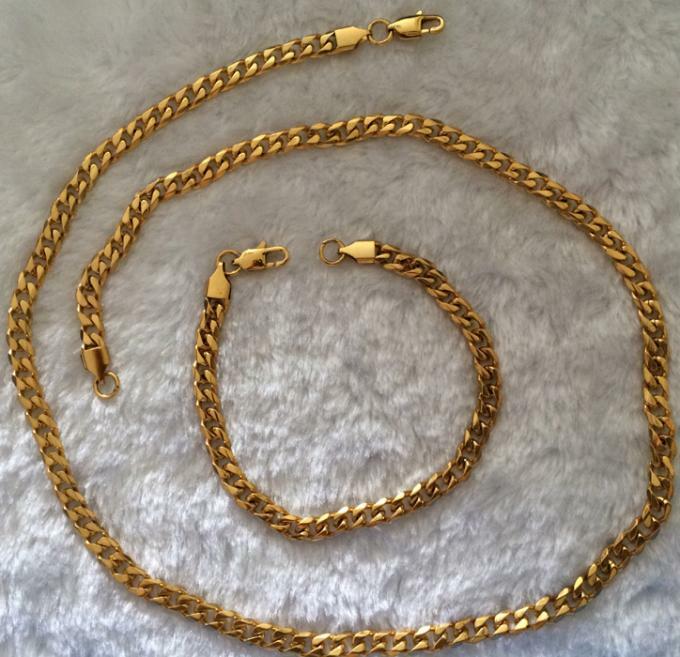 The chain is with very simple but unique design, it has exquisite craftsmanship in high quality. 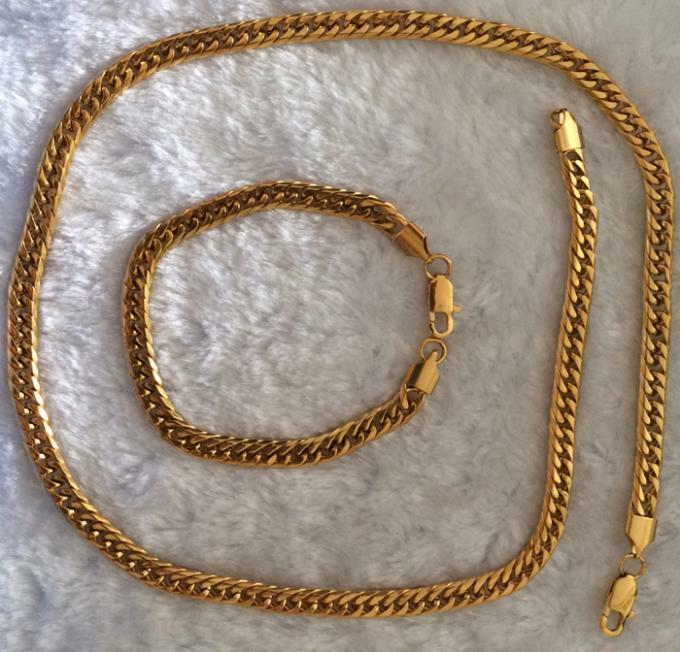 This chain is shine polished without any scratching. Hot Tags: Golden Chain Sets, Snake Bone Chain Necklace, Handcuff Chain necklace, Stainless Steel Chain Set.